As we are all aware a shocking murder dominated the news this week. Drummer Lee Rigby of the 2nd Battalion the Royal Regiment of Fusiliers was killed in a wicked attack as he went about his daily business. It soon became apparent it was a terror attack. The Prime Minister condemned the attack and said “we will never give into terrorism in any of its forms”. Parties on all sides offered support following this atrocious attack. The country is still suffering the shock of of this awful attack and our thoughts are of course with his family, loved ones and colleagues at this time. You can read more on the story of those who went to help in the immediate aftermath showing selflessness and compassion for the young soldier, here. Meanwhile, politically there is trouble for the Prime Minister, “David Cameron isn’t even among friends in his own cabinet now”, said Andrew Rawnsley in his latest piece for the Observer this weekend. Rawnsley described the Prime Minister as “the tattered chieftain of a fractured tribe.” He suffered two revolts in as many weeks first over Europe and then over the gay marriage vote. However, it is the spending review for the next financial year, which the Chancellor George Osborne is due to announce on 26 June, that is causing significant problems within the party. You can read Andrew Rawnsley’s full article here. Meanwhile, The Telegraph reported that the Work and Pensions Secretary, Iain Duncan Smith, believes more should be spent on defence and policing and has offered to lop another £3 billion off his department’s annual budget to help in this. He is understood to have suggested restricting housing benefit for the under-25s, and to limit benefit payments to families with more than two children. So there is set to be more trouble ahead for the Coalition Government, as the Lib Dems have said they will block any further cuts to working age benefits. You can read more on this here. 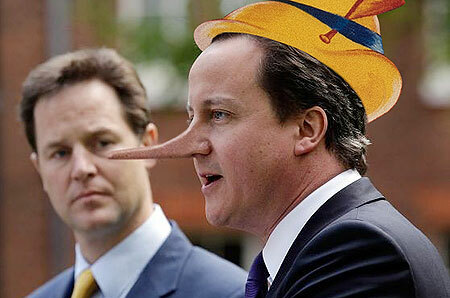 Chaotic economic policies have caused a split among the coalition, Sunday Mirror’s Vincent Moss revealed yesterday. The revelations followed news from earlier in the week when it was announced Britain is now in a double dip recession. The source added: ‘Things are so bad right now; George could even get the blame for the rain.’ You can read the article in full here. It was a bad week for the coalition in other areas too. The Leveson Inquiry dominated many of the headlines mid week when Rupert Murdoch gave his evidence to the inquiry and during this time questions arose over whether the culture secretary, Jeremy Hunt, may have broken the ministerial code in his handling of the News Corp bid for BSkyB. If the story alone isn’t embarrassing enough for David Cameron then added to that embarrassment was the refusal by Lord Justice Leveson who made it clear to the government that the purpose of his inquiry was not to rule if the culture secretary had indeed breached his ministerial code. This came after Cameron had suggested on Wednesday last week that the Leveson inquiry was the best forum in which to determine whether Hunt had handled the bid in a partisan manner. There were also denials that the deputy prime minister had meddled in the inquiry and that he had asked the inquiry to bring forward the date of Hunts appearance so his case could be ‘fast tracked’. Leveson’s spokesman said that Hunt’s request to bring his evidence session forward had been turned down “in the interests of fairness to all”. You can read the full story here. Perhaps senior politicians have been guilty of this. But as we are now finding everyone gets held to account. Eventually. I can’t, in all honesty, say that I was shocked to read the revelation in Saturday’s Guardian that the Lib Dems had drawn up plans to drop their flagship student pledge before the general election. The revelation came in a new book about the coalition negotiations by the former Tory whip, Rob Wilson. The secret document written by Danny Alexander revealed they would have to forego their pledge to abolish the fees within six years. ‘On tuition fees we should seek agreement on part time students and leave the rest. We will have clear yellow water with the other [parties] on raising the tuition fee cap, so let us not cause ourselves more headaches. Although circumstances change and economic or social climates can mean that policies have to adapt, but what angers me about this revelation is that the party never intended to follow the policy it was flaunting. It used this argument to secure the student vote, to entice those who were unsure by convincing them that they would support growing concern over tuition fees. But this article shows how so many voters were mislead by the party they voted for. In other news I read that designer shoe maker, Tamara Mellon, (among others) was appointed a global trade envoy for Britain, by David Cameron. Mellon and the other ‘ambassadors’ will be expected to promote and represent the country overseas by participating in foreign visits, meet foreign ministers and deliver speeches. The other ambassadors are: handbag designer Anya Hindmarch and JCB boss Sir Anthony Bamford, a Tory donor who has contributed almost £1m in recent years, reported the Daily Mail. Although the appointed ambassadors will not be paid for their work, I am still uncomfortable that the Prime Minister is relying on close allies such as Bamford and Hindmarch, the latter of which the Daily Mail claims is a close friend of the Prime Minister’s wife, to work on the international stage and represent Britain and British trade and industry. Finally I couldn’t do a round up without mentioning the release of Aung San Suu Ki, the Burmease pro democracy leader and Nobel Peace prize winner. Suu Ki is a modern day symbol of peaceful resistance. 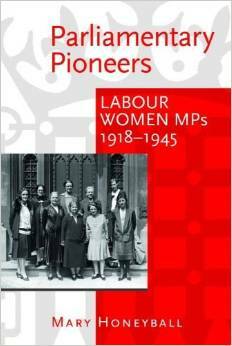 She is a remarkable woman who has shown dignity and bravery in equal measure. 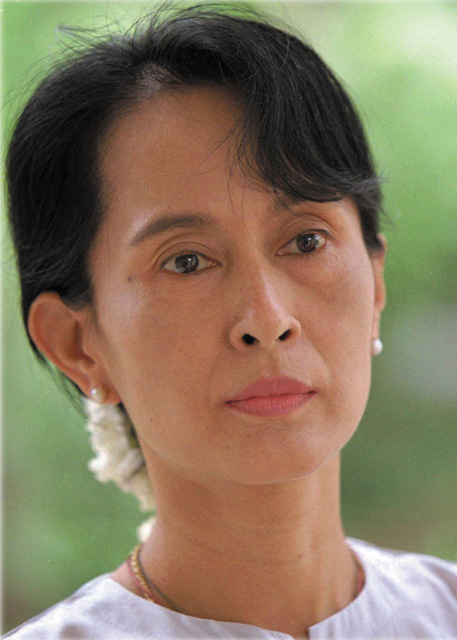 Despite being under house arrest for much of the last 20 years she refused, when interviewed by the BBC World Affairs editor, John Simpson, to show any bitterness towards the regime which had kept her captive for so long. Instead she simply said that she had been treated well. Her resolve, dignity and strength of character struck a chord, as did the reaction of her supporters, who were risking their own lives just by being so vocal in their joy at her release. It reminded me how lucky we are to have much freedom which we should never take for granted. You can read a profile of the peaceful protestor in the Telegraph here. You may wonder where to find this completely accurate if rather bald statement. And it’s probably not where you think. Every year at about this time the European Union/European Parliament indulges in a prize giving fest – awards for the best MEP on each committee, for films and journalism and several for young people. Not to be outdone, European Voice, Europe’s very own and only newspaper, makes its own contribution to the merry go round with awards for National Politician, European Commissioner, MEP, EU Official and intriguingly Inspiration. One the five entries put forward for the national politician category this year is David Cameron and Nick Clegg, the UK’s prime minister and deputy prime minister because, yes, you’ve guessed it, they formed a coalition government to put the brakes on the eurosceptics and “put the UK in step with the norm in Europe.”. I am not at all sure that a supreme act of political expediency, such as forming a coalition to neutralise a strand of opinion is worthy of a what claims to be a serious political award. I’m also not sure that Cameron and Clegg formed a coalition to bring the UK in step with the norm in Europe. While the happy outcome, for David Cameron at least, is that being in coalition with the Lib-Dems has made his eurosceptic wing shut up for the time being, I really don’t think it was uppermost in his mind when going into government with them. The Tories joined up with Clegg’s outfit because they wanted power and hadn’t received enough votes at the general election to form a majority government. So come off it, European Voice. Please don’t even try to make out the Cameron and Clegg acted out of principle. It simply won’t wash. If the budget did one thing, it showed the Coalition Government in its true colours. Now we know it’s a Tory Government in which the Lib-Dems appear to have very little say, I have decided it would be useful to do a weekly digest of some of the more iniquitous Tory actions during the past seven days plus anything else which seems interesting. 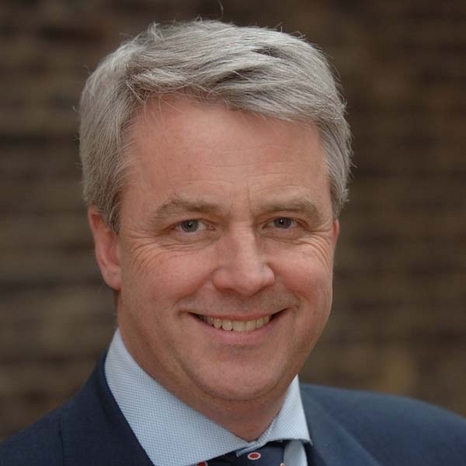 Amid Wimbledon and World Cup fever, not to mention cricket, Andrew Lansley, the new Health Secretary quietly announced that he would cut patients right to see a family doctor within 48 hours as we all as dropping the 18 week waiting time target for hospital treatment. Lansley says he is freeing the NHS from bureaucracy and targets that have no clinical justification. This will, it is claimed, help speed up the £850mn cuts that NHS managers are expected to make by 2014. Monitoring it is essential to ensure that patients get the highest level of care and the earliest available opportunity. With no alternative in place I am concerned that we will return to the days when people waited for months, sometimes years for treatment, an appalling state of affairs which the Labour Government put a stop to. I also read about Iain Duncan Smith’s announcement he would relocate the long-term unemployed to areas where there is greater opportunity for work. This is a tall order and I cannot see how this will work in reality. Is this just more rhetoric? The Observer’s poll was an interesting read – it suggested support for the Lib-Dems had slumped because they backed the VAT increase. Surely this can’t be the only reason its voters are uprooting? Conservative Government obviously does not suit Lib-Dem activists and voters. While not on the same scale as the MPs’ expenses disk, the Sunday Telegraph didn’t do badly in getting hold of the Queen’s Speech prior to the event. (As an aside, I’m not at all sure I approve of leaking matters of such importance in advance – it diminishes the Queen’s Speech itself almost to the point of mockery. We either have this major event or we don’t). The economy and Con-Dem cuts are obviously the big issues, made bigger, I suspect, by the disgraceful sidelining of Vince Cable, one of the most able, not to say likeable, members of the Coalition Cabinet. I am, I have to say, puzzled as to why Vince signed up for what is essentially a hard right Government. However, my own interest lies, as many of you will know, with the proposed constitutional reform. And what a package! The Tories have given away little and got what they wanted. Although Nick Clegg and the Liberal-Democrats may feels they have of some of what they were looking for, the Tories have, sadly, gained much more. Reducing the number of constituencies and making them all the same size is Tory gerrymandering of the worst sort. It will disproportionately benefit the Conservatives. It is simply not fair to view hard pressed urban seats with multiple deprivation and the resulting high MP caseloads with leafy suburbs and quiet rural idylls. Having lived most of my political life in inner London, I do know what I’m talking about. The Tories are pretending to be fair for their own ends. My hope now is that the Boundary Commission will stop the worst of the Conservative con. The Lib-Dems treasured referendum on AV may not be all it’s cracked up to be. As a supporter of proportional representation, I view AV as very much second best. The alternative vote is not therefore a proportional system, but a majoritarian one. The only advantage is that each MP would be elected with more than half of the votes in their constituency. The only real conclusion to be drawn from these two proposals in Queen’s Speech is that is that the Lib-Dems have sold out on PR, their most treasured and long held policy. The constitutional reform is purely and simply Tory reform. Taking away the power of the Prime Minister to call elections will bring Britain into the modern world and end an outdated privilege. Building on the Labour Government’s abolition of hereditary peers, I am pleased to see reform of the House of Lords to introduce a wholly or largely elected upper house. Recalling MPs seems absolutely right and a welcome innovation following all the problems with expenses.